Free from the restrictions of bus and train times, discover the convenience of renting a car to get to know and discover the most beautiful places in Sicily! And if you would like to move about with even more freedom, rent one of our scooters or even a bicycle, you will enjoy the pleasure of the beach at Taormina or Giardini Naxos without having to worry about where to park the car! 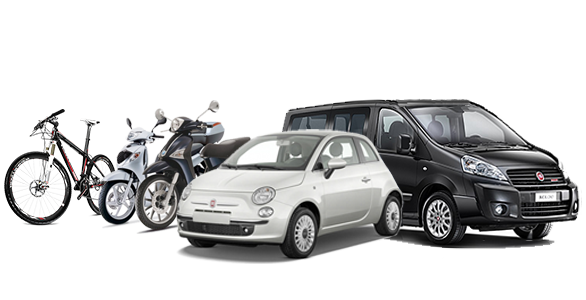 Etna Rent car rental is at their clients’ complete disposal, to help them choose the best vehicle to rent for their road travels, whether it be for holiday or work purposes.